It's been a long time since I wrote a post here after my last publication. If you read it, you will know that I was applying for Erasmus in Liège, Wallonia. Luckily, I can announce that I have finally been admitted to the Université de Liège (ULiège), which means that I will live there for one semester, from February to June. 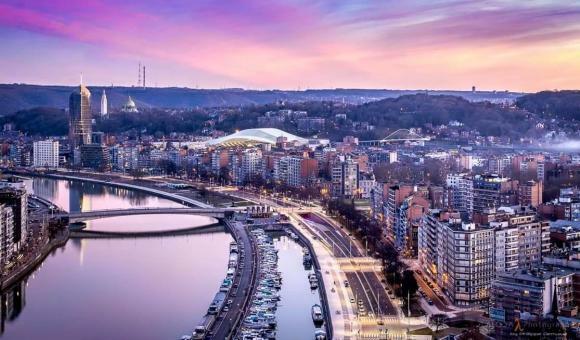 When you read this article, I will probably already be there, enjoying student life in Liège. But what did I have to do to make sure that I really would have a place and a wonderful life in Wallonia? Firstly, I had to contact the International Office at ULiège. They were available to provide answers to all my questions. They handled my documents efficiently, so on their part the bureaucracy was easy and understandable (which is not at all true for the Erasmus programme in general, as it is very bureaucratic). Another positive point is the fact that they sent me my signed acceptance letter by post together with a very informative booklet containing all the information I would need. So before I arrived, I already had the impression of a well organised university focused on foreign students - which is the aim of the European education strategy. The other important step was finding accommodation, which can be difficult from another central European country. But once again, I was surprised at the number of opportunities available to foreigners arriving in Liège. There are a lot of Facebook groups and websites, as well as university services, all helping us to find accommodation. The prices seem to be a bit higher than in Hungary, but my scholarship means that I can rent a room near the city centre at a reasonable price. It took me a few days to organise it, but I finally have the contract, which makes me feel confident that I have accommodation for the whole semester. I am also optimistic about the other details, such as public transport in the city and organising excursions to places around Liège. The city has a very extensive train network and a wide variety of cycle paths. These paths have encouraged me to buy a bicycle when I arrive and to use it both in the city and for longer distances. Lastly, I am even thinking of returning to Hungary by bike - testing out the Eurovelo network. As you can see, my first impressions of Wallonia and Liège are very positive. I am sure that I will have problems as well as adventures I am not prepared for. But that's fine, because that is the aim of an Erasmus programme like this. To get out of my comfort zone, which will lead to inner development. In the next article, I will tell you about my first steps on this road to evolution.